Each of our dealership locations offers an extensive selection of new cars and trucks, and we have a dedicated sales staff to help you find the vehicle that works best for your lifestyle and driving demands. Come to any of our dealerships when you are looking for a new Chevrolet, Ford, Cadillac, Dodge, Jeep, Ram, Chrysler, Volkswagen, or Lincoln. We have something for every lifestyle. All of our dealerships offer used cars and certified pre-owned vehicles for sale. Getting a certified vehicle is a smart choice! These cars and trucks offer many "new car" benefits such as warranty protection, roadside assistance, and much more. Our inventory of used vehicles includes popular brands from all over the world. Choose a used car, pickup truck, minivan, crossover, or SUV. You'll find what you are looking for at one of our dealership locations so come in today. Getting an auto loan for your new or used vehicle purchase is easy when you visit the Finance Department at any Gill Auto Group dealership. Our seasoned finance experts know how to find a loan package that will work for you and your family. We've helped many customers drive home in the vehicles they want, and now it's your turn! Contact us today or apply for an auto loan on any of our dealership websites. All of our dealer locations offer qualified service facilities and OEM auto parts for sale. 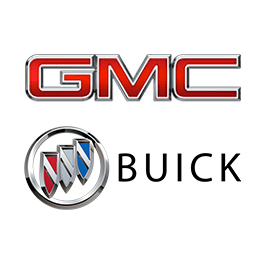 So if you are looking for OEM auto parts, or your vehicle needs an oil change, contact one of our dealerships today. If you live near Gilroy, Tracy, Madera, and Livermore, CA, or Kailua, HI, we invite you to come in and test drive a new or used vehicle. Our sales team is happy to show you new cars for sale and demonstrate their features. We will also go over options available, and we're glad to answer any of your questions. Give us a call today or just come to one of our dealership showrooms to find an incredible new car, truck, or SUV today. We are here to earn your business, so come to one of the Gill Auto Group dealerships today!